FALLS CHURCH, Virginia (July 14, 2008) – The National Association of RV Parks & Campgrounds ARVC Foundation is auctioning camping vacation packages to support the Foundation’s efforts in enhancing the camping experience. 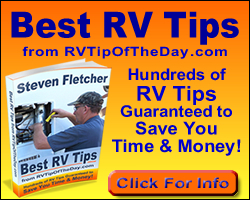 RV Parks and Campgrounds are experiencing tremendous popularity in light of increased travel costs. People are looking for ways to continue the tradition of a summer vacation with the family, while keeping their budget from getting out of control. Hence the new trend in travel…staycations and camping.